But this bike is a little different. 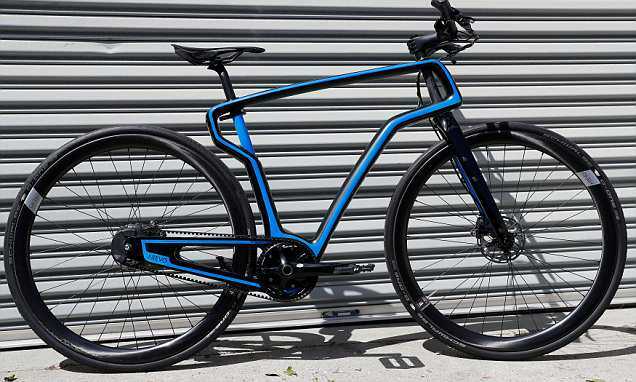 Arevo Inc, a startup with backing from the venture capital arm of the Central Intelligence Agency and where Miller recently took the helm, has produced what it says is the world's first carbon fiber bicycle with 3D-printed frame. Arevo is using the bike to demonstrate its design software and printing technology, which it hopes to use to produce parts for bicycles, aircraft, space vehicles and other applications where designers prize the strength and lightness of so-called 'composite' carbon fiber parts but are put off by the high-cost and labor-intensive process of making them. Arevo on Thursday raised $12.5million in venture funding from a unit of Japan's Asahi Glass Co Ltd and Leslie Ventures. Previously, the company raised $7million from Khosla Ventures and an undisclosed sum from In-Q-Tel, the venture capital fund backed by the CIA.